We started our journey from Dadar Swami Narayan Mandir at 11:00 pm. 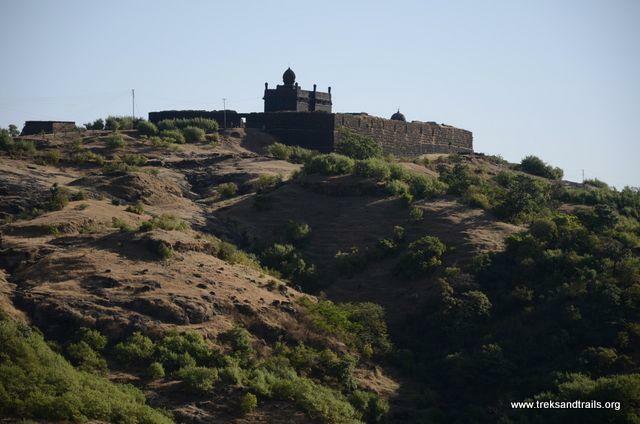 We took the Pune Expressway to avoid the traffic at Vadkhal Naka. You need to exit after Toll Naka towards Khopoli and take the first right towards Adlabs Imagica in Khalapur road till Pali Village from there you can take right towards Mahad. We took the State Highway instead of National Highway 17. State Highway is in really bad condition and should be avoid incase your car breaks down help would be difficult to find. You can also catch State Transport Bus from Borivali Nancy Colony which stops at Raigad Base Village. We went pass the bus at Pachad Gaon since we had taken the State Highway. We reached Raigad Base Village by 4.30 am. 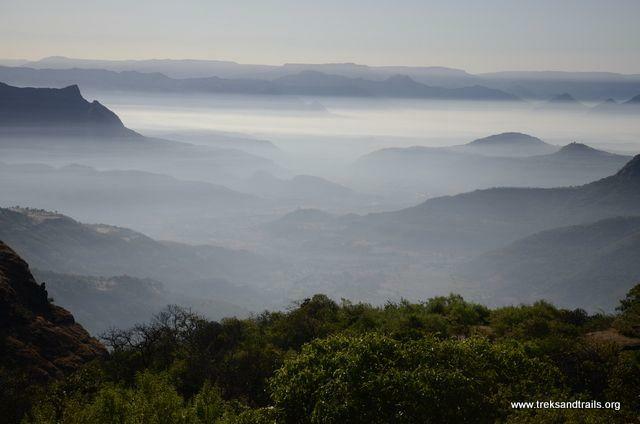 It was very cold we had coffee and spicy misal luckily hotels start opening very early in expectation of trekkers. Our trek started at first light we didn’t want to miss the valley views which are good opportunity for landscape photography. Morning was beautiful with cool breeze and clear weather. It takes around 1 hour to climb the 1700 odd steps till top. We stopped at many shops on the way to have Nimbu pani and Butter Milk. You can ask these vendors to arrange food at fort they have their house located in the jungle below the fort. 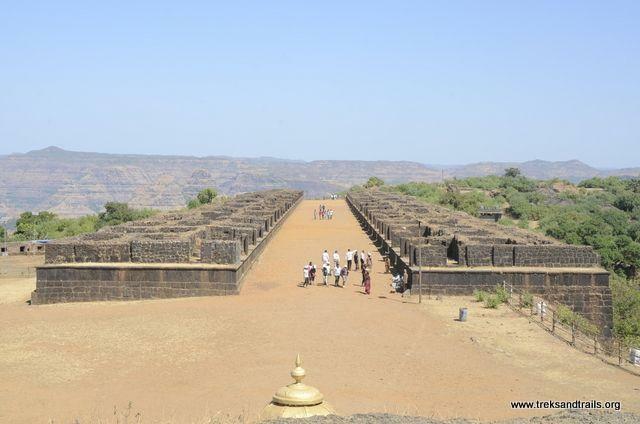 On reaching the fort we were approached by many guides you can opt for MTDC approved ones or locals who do odd jobs as guides. We hired a young guide and headed towards the villager’s home for breakfast. Breakfast was upma and sheera with tea and biscuits. We asked the lady to keep our lunch ready by 1 pm. 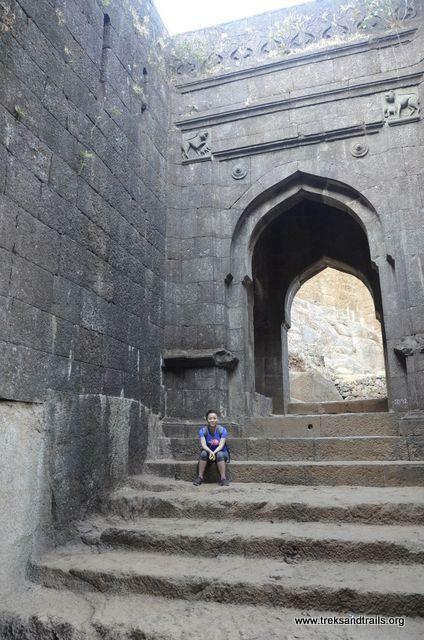 After our meals we went out to explore the fort with our guide. 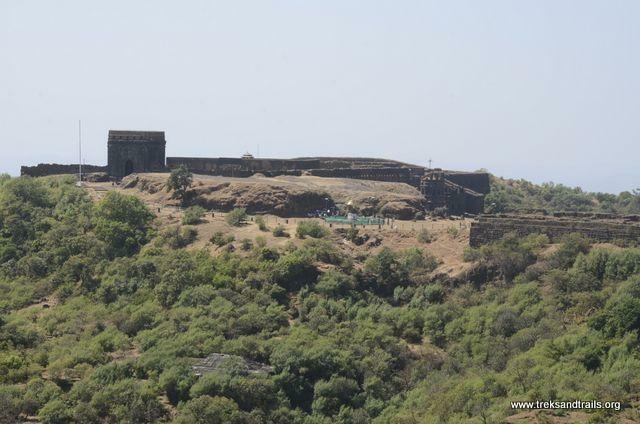 Guides help in explaining the events which have occurred on the fort and them in depth knowledge helps in discovering hidden places on fort which are sometimes not mentioned in books or online resources. Our guide was well educated about the fort he started at the huge water tank. Guides have a fixed theme based story made like a sales pitch. 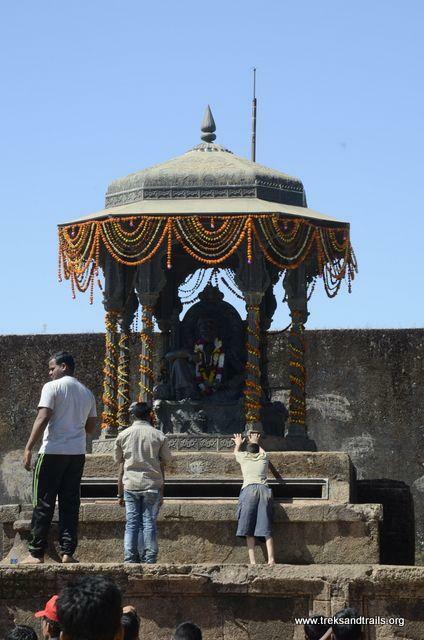 They will first tell about Shivaji Maharaja and about Raigad Killa later a small story or poem and relate it to our times, this way of explaining things kept us hooked and hungry for more information. 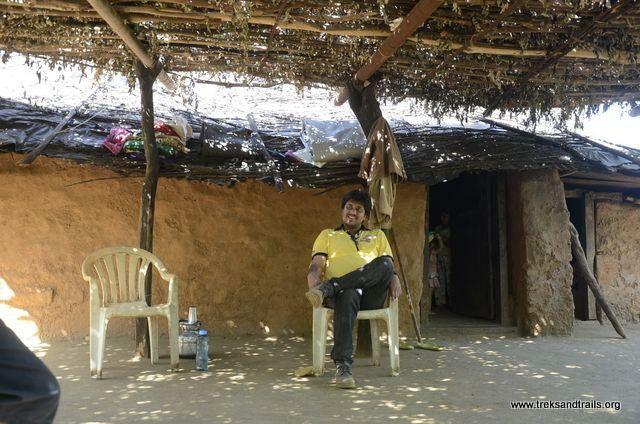 We had many people on trek who didn’t understand Marathi. After our guide would finish we would explain to them in English. It takes around 2 hours to completely explore the Fort with guide. MTDC also provides guides who explain in other languages. Our guide finished our tour just in time for lunch. We visited Shivaji Maharaj Temple and Tak Mak Tok after that we headed for lunch which was bhakri / vegetables / dal / rice we slept for an hour. It gets very hot in the afternoon there is no shade while exploring fort. We decided to descend by Ropeway. It takes four minutes to descend by rope way. We bought our tickets and waited for our turn to descend. Ropeway cost Rs. 180/- per head both ways and Rs. 110/- for one way. MTDC resort is available for stay though rooms are limited one needs to book in advance before visit. Toilet and Drinking Water are available near Ropeway ticket counter. 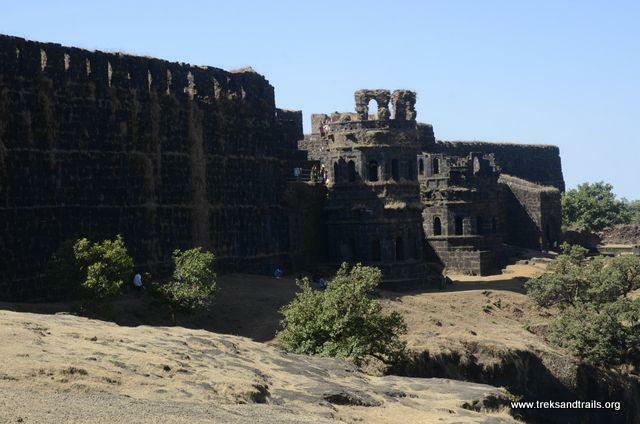 How to Travel Raigad Fort? 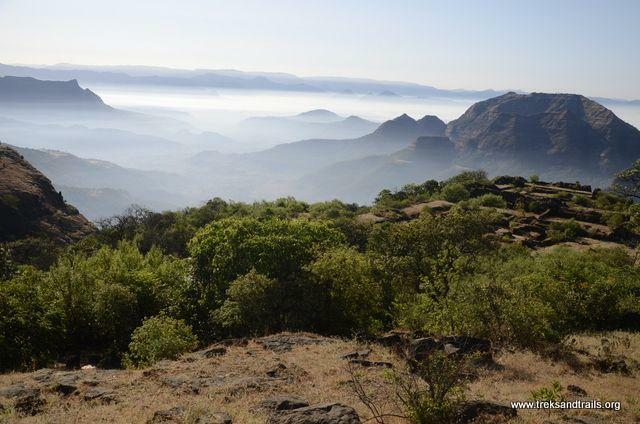 Travel up to Mahad on NH 17 and turn left from Milestone road is well marked with direction signs. 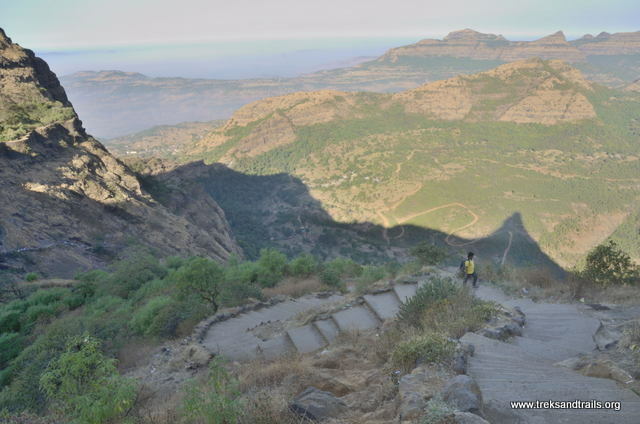 You can Trek climbing 1700 odd steps. 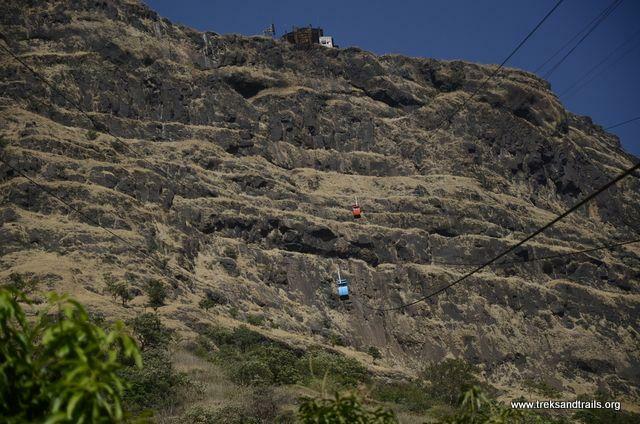 Ropeway is also available @ Rs. 180/- per head both ways. 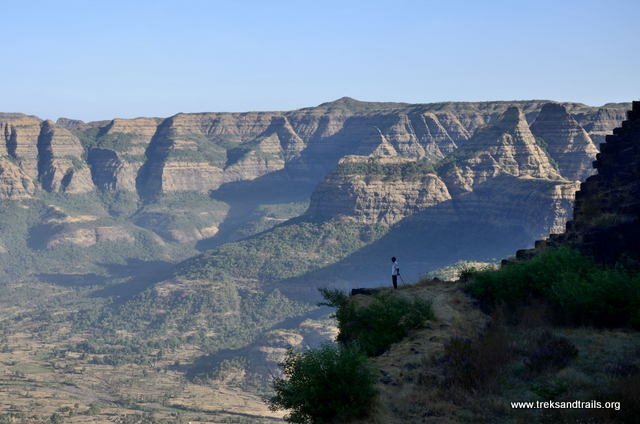 Our trek was memorable and we would be trekking soon from Rajgad fort till Raigad Fort.